Shiva hours: after 10:30 a.m. daily. Minha/Ma’ariv services at 7:15 p.m.
Alzheimer Groupe, A.G.I. (514) 485-7233. Dear Sharon & family, My sincere condolences for your loss. Moishe made me smile every time I saw him! What a wonderful man.... My thoughts are with you. Dear Sharon and family.. your father was special and will surely be missed. Our sincere condolences . May his humor and kindness live on always. From all of us at Ego Fashions. Dear Sharon and Family, want to leave my sincere condolences to the whole family, your love and care to your late blessed farther was incredible , my thoughts are with you and your family. Dear Esther, My deepest sympathy! I know how devoted you were, and wish you only happiness and good health in the future. Dear Esther, Dale, Sharon & family. Our deepest sympathy to you on the loss of your beloved Moishe. Our thoughts are with you at this very sad time. May you know no further sorrow. Dear Esther, Sharon and family. It’s been years since I’ve seen Mushy. He was certainly a wonderfully colourful man. My condolences to the entire family. My heart is with you. Dear Esther, Dale, Sharon and Family Norman and I were sad to hear of Moishe’s passing. We remember spending days at the pool with him and laughing with him as he told us about his adventures with his grandchildren. We are still out of town but are thinking of you. Esther My deepest sympathies on the loss of your husband. I know you have many wonderful and lloving years together. Dear Ester, My Sincerest condolences to you and your family. Dear Sharon and family, My sincere condolences on the loss of your Dad. I hope the amazing memories of the past help you through this very trying time. Wishing a long life to all! Dear Esther, Sharon and Dale, My heartfelt condolences go out to you and your family. I will surely miss the presence of a truly lovable and kind person. Dear Esther & Family My sincere condolences to you on the loss of Moishe. Dear Sharon and family, My sincerest condolences on the loss of your father. My thoughts are with you at this sad time. Esther, Dale , Sharon My sincerest condolences on the loss of Moishe. My thoughts are with you at this sad time. Dear Sharon and Family, My heartfelt condolences on the passing of your loing father, grandfather, and great grandfather. May his memory be a source of comfort and strength to you and your entire family. Dear Esther, Sharon and Dale, My deepest condolences on the passing of Mushy. He was a great friend and a great neighbour who brought joy to me and my family weekend after weekend. Sadly I won't be able to be at the funeral . May he rest in peace. Will see you at the house. With love, Stephen and Family. Dear Sharon, Our heartfelt condolences to you & your family on the passing of your beloved father. May you know of no more sorrow. Our thoughts are with you at this sad time. Dear Esther, Dale and Sharon my sincere condolences to you on the loss of your beloved husband, father and grandfather. May your happy memories sustain you at this very difficult time. Moyshe was a great and fun loving neighbour in the early days when we all lived in St. Laurent. Paula Bultz and family. Dear Sharon and family we are so sorry for your loss. DEAR ESTHER AND FAMILY, MY SINCERE CONDOLENCES ON THE LOSS OF "MUSHY". REMEMBER THE GOOD OLD HAPPY TIMES IN THIS HOUR OF SORROW. Dear Esther, Dale and Sharon, I was extremely saddened to hear of Mushy's passing. He played such an important role in my life- personally and professionally. I will never forget all the special times we spent together and with our families. I will cherish the memories forever. Sending you my deepest and heartfelt condolences. Dear Esther and family Harvey and I extend our deepest sympathy on the loss of your dear husband .You were very devoted to him and we know that the last few years have been most difficult. Cherish the good times and his memory , and may you be spared further sorrows . Dear Sharon, My deepest condolences to you and your family on the passing of your beloved father Moish. I had fun working with him over the years, he always had a smile and you knew a joke was coming. Moish is definitely a hall of famer in the clothing industry . May the good memories keep you strong during at this difficult time. Dear Esther and family. You have my deepest condolences. I remember Moshy as a child fondly. He was a really good and nice man. Dear Esther, Sharon and the entire family. I was very saddened to hear of the passing of Moishe. A flood of memories of both him and Sharon comes to mind. Moishe was one of the most colorful characters in the hay day of the schmata business. As soon as he walked into an establishment you hear that loud boisterous voice. He greeted everyone with equal respect, (cursing all lovingly). He was definitely my favorite person to deal with, a real mench in every sense of the word. RIP my friend. He will be missed by many. Dear Sharon, My deepest condolences to you and your family on the passing of your beloved father. May the good memories you have of him keep you strong during this difficult and painful time. Dear Esther and Family, heartfelt condolences on your sad loss. May fond memories sustain you at this very difficult time. Dear Esther. Sharon and Dale Please accept my deepest heartfelt condolences. May Hashem bring you peace and comfort in the wonderful memories you can share and keep forever. Dear Sharon, My deepest sympathies on the loss of your dad. You were such a devoted daughter and your dad was so lucky to have you. Cherish your memories. i am wishing you strength for the days ahead. Dear Esther and family, i am so sorry to hear you lost your beloved husband and father. I know how much he meant to all of you. Sending your my deepest condolences. Ingrid. Dear Sharon and family, Our heartfelt condolences on your loss. May all your happy laughing memories help you through this sad and difficult time. Dear Sharon and family, Michael and I are so sorry to hear about the loss of your dear father. We are thinking of you during this difficult time. Dear Esther & Family, I am so sorry for your loss. You were a very devoted wife visiting and spending quality time with your husband daily throughout his illness. May your good memories help you through this difficult time. Dear Sharon and family, I am so sorry to hear of your fathers passing. Wishing you my deepest condolences, thinking about you during this difficult time. Dear Esther: We were so sorry to hear about the loss of your beloved husband. May your wonderful memories of your life together help you through this most difficult time. Wishing the family my deepest condolences. You are all in my thoughts at this difficult time. Dear Esther, Dale, Sharon and families, I am deeply saddened to hear about the passing of your beloved husband and cherished father. He was a wonderful man, and I have such fond memories of him while spending numerous times in your house in Ville St. Laurent. it is truly remarkable how devoted you all were to him in his last years. May you all be comforted by the wonderful memories that you've shared together. Dear Sharon Sincere condolences on your father's passing. My sincere condolences to the Avrith family on the loss of your husband and father. My thoughts are with you at this difficult time. Dear Esther, Dale and Steven and Sharon and families. We are so sorry to hear about your loss.. I will always remember how kind he was and always a smile on his face. May all your wonderful memories help you through the next few days. Shelley and Howard. .
Dear Family: Remebering Uncle Moishy with such fondness. He lived life fully. He was always entertaining and was the life of the party but only f it ended before eight. Cherish your memories. Sending our love Susan,Jeffrey, Jamie and Taylor. Dear Esther, My sincere sympathies to you on the loss of your dear husband. I know how devoted you were to him. May your fond memories be a comfort to you at this sad time. Many memories of laughter that made work fun. He could make you feel good about his getting the best of you. He will be missed. Dear Esther, Dale and Shushy, my sincere condolences on the passing of Mushy. What fond memories I have of the wonderful fun times we experienced in Ste.Agathe. All the water sports, BBQ's ,dinners and drinks. Mushy's sense of humour, love of people and life was truly special. I will miss this very special man. All my love, Bev. Dear Esther and family, So sorry to learn of our dear friend Moishe,s passing We wish you and yours only peace and solace during this sad time. No more sorrow. Avrith family, sad to read of the passing of Mushy. We had so much fun over the years. Condolences to the entire family. Bryant. My sincere condolences to the entire family on the loss of Mushy. I have such fond childhood memories of time spent with him and our families. He loved telling jokes, had no filter no matter what age you were, always drove the boat a little too fast, was kind and funny. Mushy was a big part of my childhood and I was lucky enough to have worked with him in my adulthood for a few years. I will truly miss him. My thoughts and prayers are with you during this difficult time. Sending lots of love to all of you. Dear Esther,Dale & Sushy, We are so sorry to hear about Mushy's passing. We hope that the love of family and friends will comfort and strengthen you in the days ahead. Memories are portable -we take them anywhere at any time. My very deepest condolences to everyone. I have some wonderful childhood memories with Mushy. He always made me laugh and took me on some wild adventures. I will cherish them forever. Peacefully, surrounded by his loving family on Tuesday, April 9, 2019 in his eighty-ninth year. Beloved and devoted husband of Esther Segal for sixty-one wonderful years. Loving and treasured father and father-in-law of Dale and Steven, and Sharon. Cherished “Moe” of Warren and Nina, Brittney and Soty; Felicia, and Jaclyn. Proud great-grandfather of Joelle and Mason. Fondly remembered by Martin Fremeth. Dearest brother and brother-in-law of Mickey and the late Jenny Avrith, Henry and Natalie Avrith, Phillip Avrith, Seymour Avrith, Joyce and Stephen Robinson, the late Nettie and the late Abe Shragie, the late Charles Avrith, the late Sammy and the late Beatrice Avrith, the late Harry and the late Bertha Avrith, and brother-in-law of Reva and the late David Hertz, Meyer and Harriet Segal, the late David and the late Sandra Segal, Leslie and the late Rozie Saxe. “Mushy” will be so deeply missed by his many nieces, nephews, family, dear friends, and all of his buddies from the garment industry. Special thanks to the doctors, nurses and staff at Maimonides for their exceptional care. The family would like to acknowledge, with sincerest gratitude, Andy and Lydia for their love and dedication. 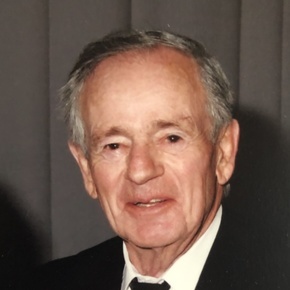 Funeral service from Paperman & Sons, 3888 Jean-Talon St. W., on Thursday, April 11 at 3:00 p.m. Burial at the Hebrew Protective Section, Kehal Israel Cemetery, D.D.O. Shiva at his home after 10:30 a.m. daily. Minha/Ma’ariv services at 7:15 p.m. Contributions in Mushy’s memory may be made to the Alzheimer Groupe, A.G.I. (514) 485-7233.